This is a USB Rechargeable LED bulb which can not only be used as a regular LED bulb, but also an emergency light and a power bank for cellphones. AC100-240V wide voltage input and DC5V input as power supply, it's flexible and convenient. It will be powered by the built-in batteries during a power outage, so it's can be used for emergency lighting use. 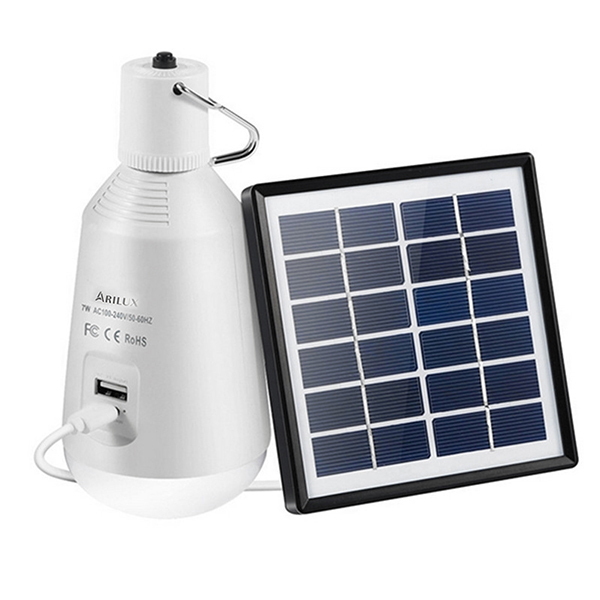 with a 5V output port on the shell, the bulb can be used as a power bank to charge electronic products. with a starter hook to hang up, it is perfect for mobile illumination such as camping, fishing, hiking.